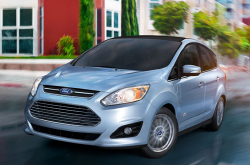 If awards are any indicator for excellence, the 2013 Ford C-Max has it in spades. It's managed to rack up not one, not two, not three, but four major distinctions in its first year of production. 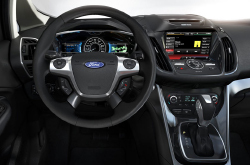 If you drive a Ford C-Max in Dallas or the surrounding areas, you're probably already aware of this hybrid's fuel-efficient modus operandi and high-performance driving abilities. If you haven't driven one, let's get you filled in. For starters, the C-Max was a finalist for the 2013 North American Truck/Utility of the Year Award. Do remember, folks, that the C-Max is a hybrid hatchback and not a truck. Apparently, the panel for one of the country's most distinguished automotive awards decided to classify a hatchback as a utility vehicle. While we question the reasoning behind that decision, we don't question the fact that the C-Max is one of the most impressive cars to be born in the 2013 model year and deserved a spot on the finalist's list. Autobytel (with a better classification system) named the C-Max the Alternative Fuel Car of the Year, beating out the Chevy Volt, Tesla Model S and VW Jetta Hybrid. Road & Travel Magazine named the C-Max the International Car of the Year Award winner, and Green Car Journal gave it a Green Car Vision Award for making mass-market fuel efficiency a priority. For a full review of the 2013 Ford C-Max for Dallas-area drivers, scroll down below the video. Compare the 2013 Ford C-Max side-by-side with vehicles like the 2013 Nissan Rogue, Chevrolet Equinox and the Toyota Prius V, and you'll catch that the C-Max transcends the competition in loads areas. Take a look at our Quick List below to find out why! Ford C-Max owners won't get the same superb factory-trained Ford mechanics and accredited Ford parts at a conglomerate service company. But at our Grapevine dealership you'll benefit from this daily, along with the sense of contentment that comes with having a year service warranty. If you avoid getting trustworthy repair work, your Ford C-Max's stamina might corrode, so bring it to the distinguished mechanics at Grapevine Ford. For ordinary oil changes and other Ford services like air filter swaps and wiper blade replacement, come to us. We even manage labor intensive assignments with no trouble, including jobs like transmission repair. Grapevine Ford is your safe bet in Grapevine for fast, professional Ford C-Max repairs and regularly scheduled maintenance. When you drive over to Grapevine Ford's service department, take advantage of unreal savings with our unbelievable specials. Click under this paragraph! There you have it: it's won awards, it's beat out its competitors time and time again, and it's competitively priced. You can't go wrong with the C-Max if you're out to purchase a hybrid car in Dallas; you really can't. Grapevine Ford is your Dallas-area Ford dealer; they carry a large selection of the award-winning 2013 C-Max Hybrid and C-Max Energi, all at a price you'll find quite enticing. Grapevine Ford urges you to compare their prices to other Dallas-area Ford dealers and see who comes out on top. When it comes to the C-Max, you'll find their winning combination of affordable pricing, low APR financing and a friendly sales team puts the other guys to shame. Find out for yourself if the C-Max is right for you; stop in for a test drive this Saturday at Grapevine Ford.